We are proud that we have come this far. As our open letter indicates, women in a domestic crisis situation must leave quickly from an unsafe situation. That women must quickly grab something and leave when she feels unsafe and most of the time if she can, she takes her purse. That’s why we also sell in bulk at significant discount to non-profits that serve women in crisis. A dependable handbag can be so versatile and necessary. 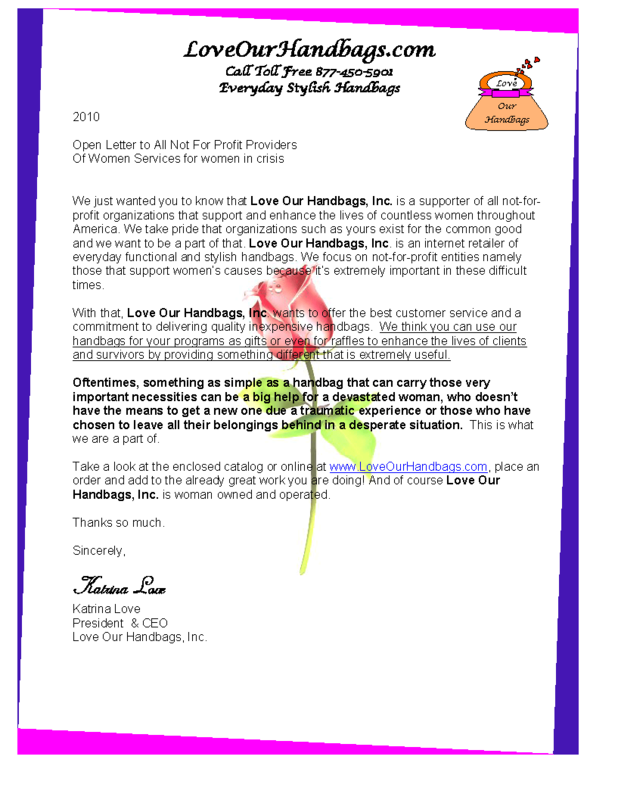 LoveOurHandbags.com donates a portion of its profits to organizations that support women in domestic, sexual assault and servitude crisis situations. We are part of uplifting women from their crisis and getting back to the wonderful lives that she is owed. What is a Satchel Handbag?